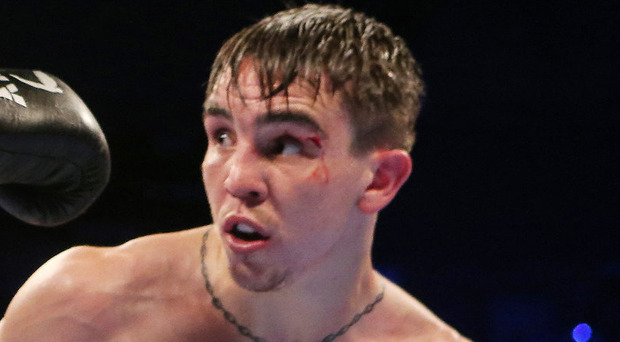 If anyone was being of a very generous nature, they might excuse Belfast boxer Michael Conlan marching into the ring at Madison Square Garden in New York on St Patrick's Day to a chorus of "Ooh, Ah, Up the 'RA" as a young man getting carried away by the faux Irishness of the day that was in it in a city where spectacle often triumphs over sense. They might also point out that he was only seven when the Good Friday Agreement was signed and that he was never really witness to the horror of terrorism carried out by the IRA or any other paramilitary group. But he grew up in Belfast and must have been aware that terrorism - no matter which cause it is for - leaves only grief and death in its wake. And if he wasn't, then surely someone in the management team should have known that boxing is a sport which through the worst of times in Northern Ireland has proved itself above tribalism. Conlan was hailed by all sides of the community for his boxing exploits as both an amateur and an unbeaten professional and there is every hope that he could become another world champion like Barry McGuigan or Carl Frampton. They, unlike Conlan, never pandered to the lowest common denominator. They both married across the religious divide and united fight fans across the sectarian divide and across the border. They were poster boys for a noble art that saved many young men from becoming involved in violence outside the ring and an example to us all of how life should be lived and how to tread that difficult line of respect at all times. It would be sad to see a sportsman of real talent tarnish his reputation through an ill-advised action, but it is disappointing that he has not tried to explain why that song was played, never mind apologise to fans - not all of them of a unionist persuasion - for allowing it to happen. Sportsmen and women are role models, especially for the young, who often ape their every action. Boxing is the hardest sport of all and anyone can only admire those who climb into the ring knowing that no matter how good they are, they are still going to get hurt. What no one can admire is when they inflict hurt on some of the very people who cheer them on. Conlan can regain his standing by making it clear that he in no way supports terrorism from any source or at any time. He might begin by chatting to some victims to understand the reality of terrorism.